Trainee surgeons typically accumulate a decade of medical experience before completing higher surgical training. But, in a mock operating theatre in Cambridgeshire, an inexperienced medic with just a few hours of experience is expertly performing keyhole surgery, albeit on a sponge rather than an artery. 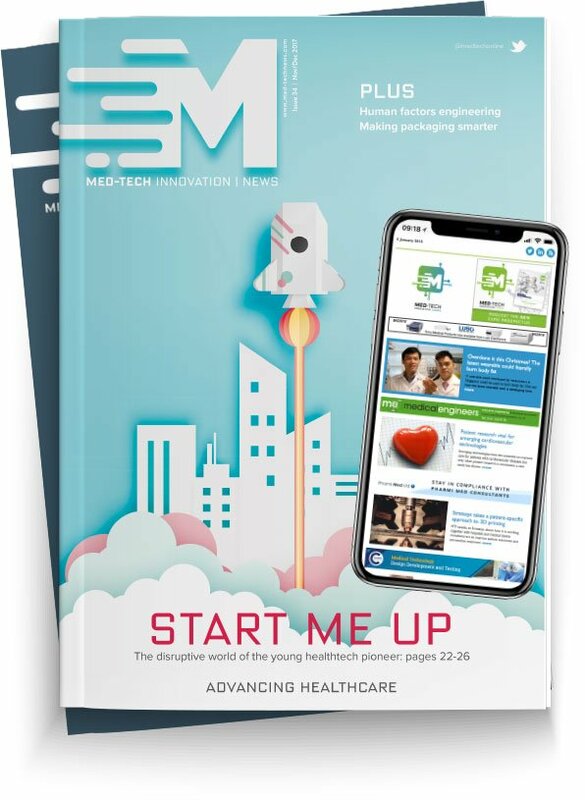 Here, Chris Johnson, managing director of medical bearings supplier SMB Bearings, examines the predicted rise of surgical robots and their design requirements. Controlled by an experienced surgeon at a console, miniature robots for keyhole surgery mirror the exact movements performed by the surgeon. However, unlike a human, these machines can execute movements in a much more confined space. Keyhole surgery carries significantly fewer risks than traditional open surgery. The consequences of infections are less severe, fewer painkillers are required and rates of hernia are halved. However, the surgical expertise required to perform these operations means that keyhole procedures are not always feasible. Versius, the world’s smallest surgical robot, has been developed to alleviate this challenge. Modular in design, Versius uses moving robotic arms which are individually mounted on carts. Combined with 3D visualisation software and a camera, the robot can then perform incredibly intricate incisions, as directed by an experienced surgeon. Versius isn’t rummaging around inside real patient abdomens just yet, but the invention is one of a handful of surgical robots set to transform procedures in the next year. But, as robotic technology becomes standard practice in operating theatres, how can the industry ensure newly developed surgical robots deliver the same intricacy and reliability as their human counterparts? A greater reliance on technology can carry greater risk, as medical professionals are putting their trust into the manufacturers of these devices, rather than experienced surgeons. To alleviate these concerns, medical device manufacturers must ensure that every design aspect is carefully reviewed and considered — including every nut, bolt and bearing in the device. Bearings for medical devices and applications already carry unique requirements. For example, some devices are subject to aggressive chemicals and fluids, some handheld devices require miniature bearings and other applications necessitate non-conductive bearings, such as devices used alongside or inside MRI scanners. For surgical robots however, the need for accurate and precise bearing performance has never been higher. These unique requirements, coupled with the strict regulations of the industry, mean that selecting the correct bearings for surgical robots is of upmost importance. Like all bearings for robotics, surgical robot bearings must deliver the highest possible rotational accuracy, while also being small enough to fit into these miniature devices. Miniature ball bearings describe bearings with an outer diameter of less than 9.5mm. For devices like Versius, bearings would fall into this category. However, there’s more to selecting a bearing than choosing the correct size. Material and lubrication decisions also have a significant effect on a bearing’s performance. Common materials for bearings in medical instruments include high purity metals such as martensitic stainless steel. However, some applications can use ceramic materials, such as silicon nitride. Some types of stainless steel, such as 316 grade stainless steel, are not suitable for highly accurate applications. Instead, this material is best suited for semi-precision applications. For surgical robots, choosing the correct lubrication is also vital. Due to their scale, regularly replacing or re-lubricating bearings may not be feasible. Therefore, choosing a bearing with lifelong lubrication is crucial. However, engineers shouldn’t assume that standard lubrication will be adequate. For some applications, specialist lubrication, which can be applied in SMB’s relubrication facility, may be required once the engineer has established an ideal bearing and lubrication combination. As patients put their safety into the surgical hands of robots, it is the responsibility of robot manufacturers to ensure every component in their devices is designed to last. Robots like Versius may be able to imitate decades of medical training, but without the correct bearings to ensure accurate movement, these devices risk putting patient lives in danger.